When my daughter was 5, she loved dinosaurs. She could throw down with any of the boys, names, facts, etc. It was hard finding dino things, especially for her room that weren’t too masculine. 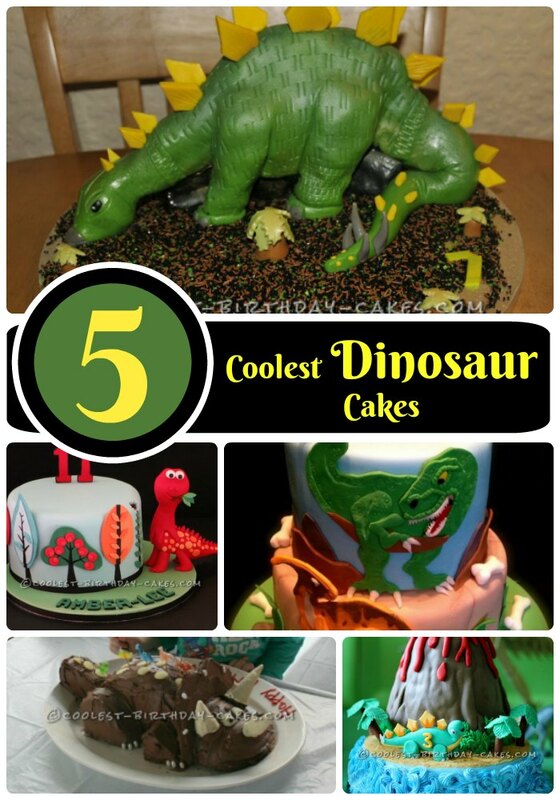 When I got to do the cake, I was thrilled to be able to make it fun and bright and perfect for a 5 year old. She even created a few of her own pieces to add to the cake, as you can probably tell. The cake was frosted with chocolate and cookie crumbs. 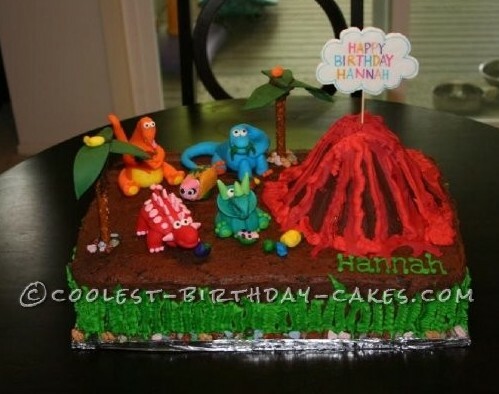 The volcano was Rice Krispie treats covered in chocolate and then iced with red icing for the lava. I ran out of room to write on the cake, so I popped on a gum paste sign with the birthday message. 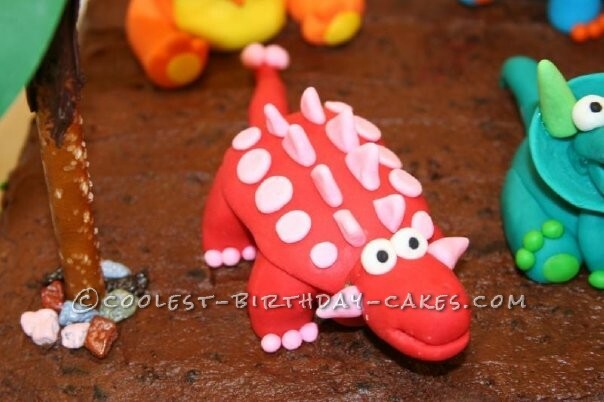 The dinosaurs were fondant/gum paste. The trees pretzels with gum paste leaves and chocolate holding them firm. Piped leaves and candy rocks rounded out the base of the cake. 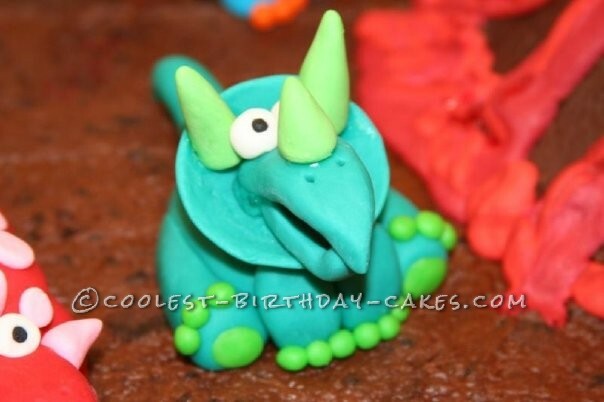 Birthday cake idea posted by Karen L.